Hey guys! It’s time for another club spotlight edition. This time we do not look at major European powerhouses but rather the youth of Southampton and their youth academy products. 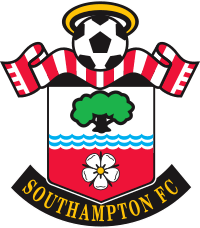 Boasting one of England’s most acclaimed youth academies of recent times, Southampton have been cruising to great heights they would never imagine themselves scale a couple of years back. In the 2009-2010 season, Southampton was playing in the Football League’s third division, League One, against the likes of Millwall and Bristol Rovers. Today, they are in the running for a Europa League spot, which could see them play against Lazio, Fiorentina and Lyon. Their team has a strong English core which provides good foundation for Roy Hodgson in his England side, but the fact that their youth academy has been churning out so many famous players is amazing. Let’s look at some of these players. The world’s most expensive player Gareth Bale actually hails from Southampton. He started off as a left-winger at the Saints but was later converted to a winger at Tottenham Hotspurs, where he currently glorifies that role at Spanish giants Real Madrid. At Southampton, Bale scored 5 times in 45 appearances, which is not that bad for a 17-year-old left-back in his first senior season. Speedy English winger Theo Walcott was also a product of the Southampton academy. He is the youngest player to play for the Saints, at 16 years and 143 days old. He had an amazing first season and scored 5 times in 21 games, before getting called up for international duty in 2006. Walcott is now a regular with Arsenal and England. With Walcott out of World Cup 2014 through injury, England might look towards yet another Southampton youth academy player, who is still starring for the Saints. Adam Lallana signed for the the youth academy at a tender age of 12, making his first senior appearance at 18. The left-winger has score 48 times in 233 games for them. He has made his first caps for England and looks set to be boarding the Brazil-bound plane with the rest of the English squad this summer. Alex Oxlade-Chamberlain has an outside chance to make the English World Cup squad as well. He joined the Saints academy at the age of 7. He had 9 goals in 36 games and was a glimmer of hope during Southampton’s dark years in League One. He is versatile all around midfield and is an important part of Arsene Wenger’s Arsenal side today. That’s still not all the talents they have produced. Luke Shaw, at the age of 18, is already contesting with the likes of Ashley Cole and Leighton Baines for the England left-back spot. He is an attack-minded left-back, similar to Gareth Bale. He has already made his first cap for England. Southampton are currently 8th in the Premier League, with 52 points, under the management of Mauricio Pochettino. Home games are played at the St. Mary’s Stadium and they play the South Coast Derby against Portsmouth. Admin League 2.0 – Cheer up your favorite Admin! Who will take the crown in our new stunning admin league? Yes we created a league for our admins to stop being lazy when it comes to play and to entertain you guys. One season lasts for 3 months and every Saturday at 20 CET there will be a cup for admins only. But every user will be welcomed to cheer up their favorite admins. The top 5 players from each cup will receive points and the admin with most points at the end of season will take the victory. [Master Assistant] haifisch87: Hey -ar-, how are you? [Reporter] -ar-: Good thanks and you? [Master Assistant] haifisch87: I’m fine as well. How does it feel to take part first time in the admin league and directly attacking? [Reporter] -ar-: I really enjoyed the competition. It feels good to be a part of such a special team. And the games were really fun, but competitive. [Master Assistant] haifisch87: You know that quebec_power could take the first 2 victories. Are you happy that he wasn’t playing this cup? [Reporter] -ar-: Quebec_power is a great guy, and a good competitor in cups. I was a little dissapointed not seeing him in the cup, because our games together are always so close. [Master Assistant] haifisch87: What do you think who will be the winner after this season? [Master Assistant] haifisch87: True words. Let’s hope for the next cups that the league will become bigger by more and new admins joining too. Congratz for your first victory in your first cup. I really hope someone can make the life for quebec_power harder. Keep it up and thanks for the interview. [Reporter] -ar-: Thanks also. I will be right in quebec’s Rear view mirrow ;D.
What do you think who will take the crown at the end of Season 1? Who will get the most MVPs? Hey guys, -ar- here. Today I thought we could have some fun, So I’ve gathered some images of perfectly timed photos. The people who take these photos must be either really skilled or extremely lucky, because they need to be timed perfectly. As you can see above, the squirrel is catching up on his current events for his social studies class. It looks like he’s really surprised by the article, Because his eyes are as big as watermelons. This bald eagle is a little late for work, so he turned the turbo on. Warp speed! He could of drank a few cups of coffee before his morning fly. Maybe he drank just a little too much. Or maybe his crush called and wanted to go on a date with him. This monkey is obviously a movie star. It looks more like a one man show though, because he is filming while acting. I hope he gets paid over minimum wage. Monkey: Mom! Are you in there. [Looks at his reflection in the lens} MOM!!! I see you! Stop hiding and get out of this box. As you can see, this cat has always wanted to be a fashion model. As long as it’s not a swim suit shoot I think he will do fine. If you didn’t already know, most cats hate water. People really need to feed their camels better, it looks like he hasn’t eaten in weeks. Or, It could be a zombie camel. “I want to eat your brain”. The young lady in the photo is obviously having a good time getting her head bit off. Wouldn’t you just love to have a dog like this? You would never need a match again. Maybe this dog is part dragon, It doesn’t look like he’s putting a lot of effort in it. Grandparents. This granddad was having a little too much fun. But, the kid could be practicing his limbo skills. Like they say “It’s all fun and games until someone gets hurt”. Grandfather: Let me take a turn on the swing. Grandson: That’s because your old. Thanks for reading this, I hope you enjoyed the images. Sometimes I wonder, how many photos does it take to get one as perfect as these. It could just be luck, but I think it takes a lot of skill. If you want to see some more perfectly timed photos, click here. Hey guys! It’s me once again for another Monthly Recap, so let’s look back at what happened in March this year. It was an amazing month for various users in terms of achievements, as many achieved milestones never or rarely reached before. Happy birthday to all who celebrated theirs in March! We have a new number one, _aleksandra_ had been a constant face in the top ten, but finally this month, he has taken the helm. Club members can now create and join cups for free, while non-Club members need to pay 75 tickets. The prize for winning a cup has been reduced from 150 to 100 tickets. It is now possible again to hold your own prized competitions, as the crew has brought back the highly-popular gifting system. Users can gift Club Membership, Skill Packages and the 3 Day Pass. Leonardogarrido9 and atmosphere. won the Olympic Relay in style by raking up 4285 points, with both of them ranked third and fourth in the user rankings. They win themselves 6 months of the Club Membership package, and if that is not enough, the Skill Package lasting just as long. Coming in second is kodaky and -ar-, ranked 8th and 10th in the world. They win 3 months of both packages. Nicolito99 beat off competition from 101 other highlights to win the Goal of the Month of February 2014 competition. This is the comment from the jury. That’s all for March. What’s in store for us in April?